Think of Italy’s Alps and Dolomites, and you’re likely to think of skiing and mountain-climbing. Something else that should come to mind? Food! Some of Italy’s best foods, including meats and cheeses like prosciutto, speck, and Fontina cheese, come from the Italian Alps. Plus, the Italian Alps, including the Dolomites, benefit from a mixed cultural heritage that makes them unlike any other region in Italy: Italy’s Alps border France, Switzerland, Austria, and Slovenia! Want to know what to eat when visiting the Italian Alps? Here are some of our favorite dishes in the Alps and Dolomites, including in the Valle d’Aosta, South Tyrol, Friuli-Venezia Giulia, and parts of Lombardy, Piedmont and the Veneto! Fontina: One of Italy’s best-loved cheeses, Fontina tastes mild, rich, and almost nutty, and can be either hard (if mature) or soft and perfect for melting (if younger). It’s originally from the Valle d’Aosta, where it was first created back in the 13th century and whose version is protected by DOP status; other versions are now made in Denmark, France, Sweden, and even the U.S. (To make sure what you’re eating is “true” Italian fontina, make sure the cheese has consortium stamp of the Matterhorn with the script “Fontina”). Montasio: A DOP-protected cheese, Montasio was first made by Benedectine monks in the mountains… around the year 1200! 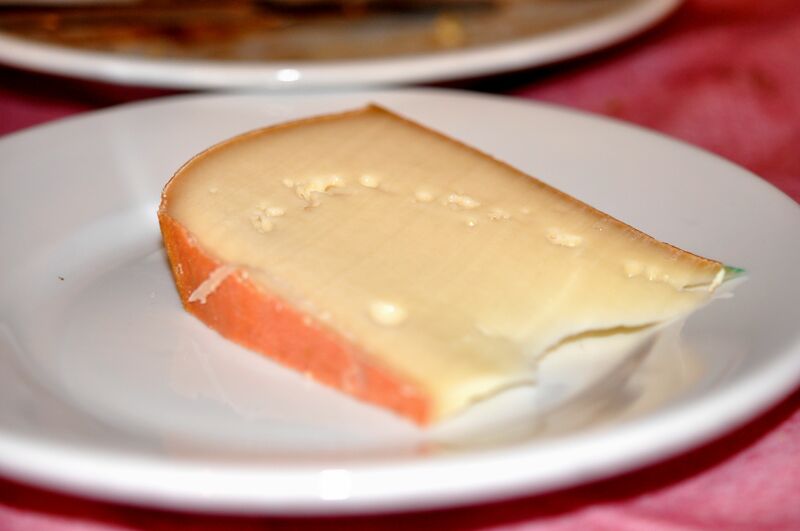 The cheese quickly became a much-desired foodstuff: In 1775, a price list from the city of San Daniele listed Montasio as being much more expensive than other cheeses. Montasio Fresco, aged between 2 and 5 months, is mild; Montasio Mezzano (aged 5-12 months), is firm and tastes full; and Montasio Vecchio (aged more than 12 months) is hard, sharp, and perfect for grating over pasta or soup. 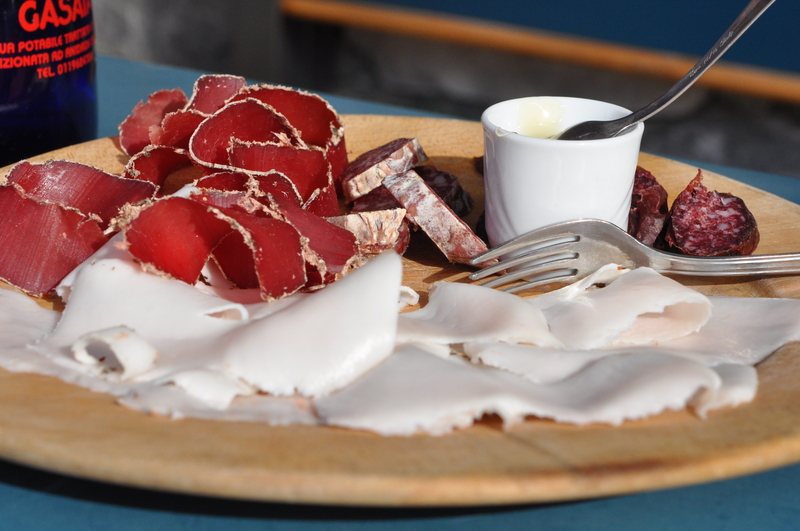 Mocetta: Traditionally, this cured meat of the Valle d’Aosta came from goat—but now, it’s acceptable to use beef, too. It’s spiced, salted, and aged, and delicious with some bread and lardo d’Arnad (see below!). 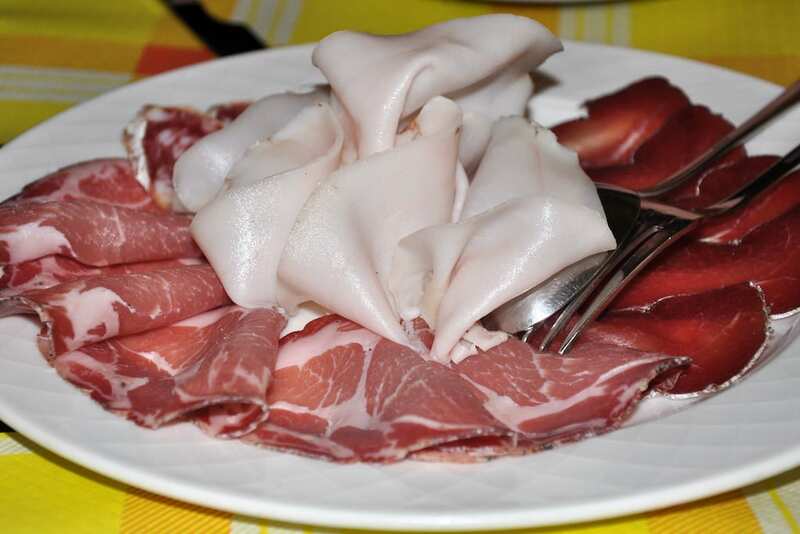 Lardo d’Arnad: Made in the Valle d’Aosta, this Alpine specialty has become famous throughout Italy. What is it? Lard! It might sounds strange, but it’s delicious; the lard is spiced, has a smooth, buttery texture, and perfect drizzled with honey and eaten on bread. Lardo d’Arnad is DOP-protected, and must be made in a very specific way, including being cut from the back of the pig, and seasoned with a mixture of mountain herbs, spices, and salt. Boudin: Not for the faint of heart, this is the Valle d’Aosta’s blood sausages—although if you bit into one and nobody told you, you might never know! Slightly sweet, the sausages are a mixture of cured fat, vegetables, spices, and, yes, blood. 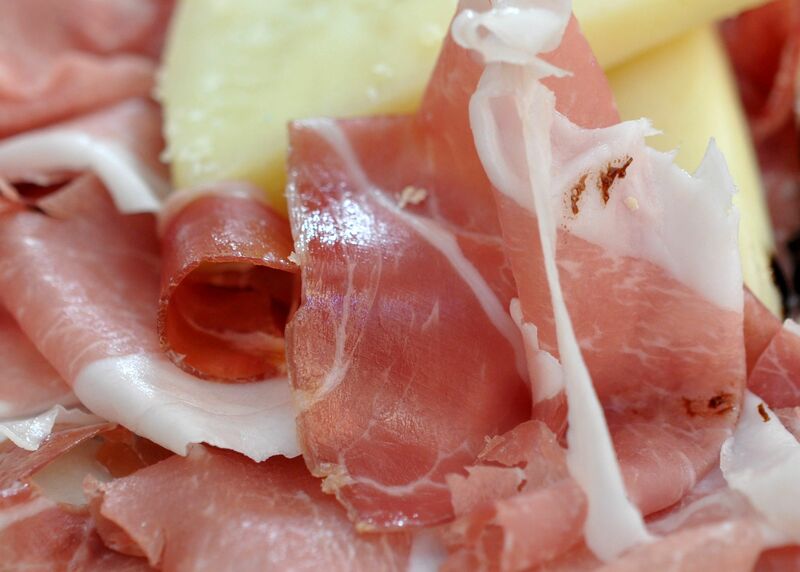 Speck: A specialty of South Tyrol, speck is a salted, spiced, and dried ham that comes from the pig’s hind leg. First made as early as the 13th century, Speck Alto Adige has been given a DOP status, which applies to the kind that’s made by marinating the ham for two weeks in a spiced brine; dried and smoked for two weeks; and hung for four months. The result? Delicious! Zuppa valdostana... with lots of Fontina cheese! 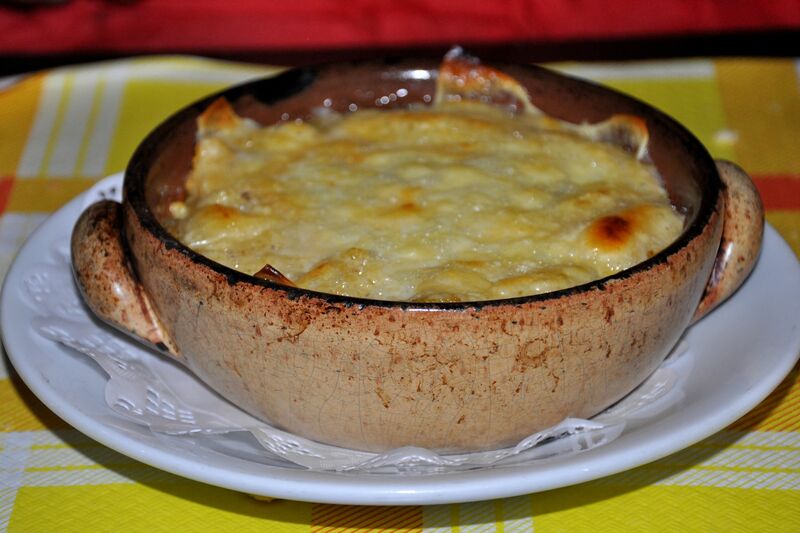 Zuppa valdostana: A traditional, hearty soup of the Valle d’Aosta, this includes big chunks of bread in broth, covered in melted Fontina cheese. Stick-to-your-ribs… and delicious! Fonduta valdostana: This is the fondue of the Valle d’Aosta, made of Fontina cheese, cream, and eggs. After a cold day in the Alps, there’s nothing better! Gnocco gigante: A “giant dumpling,” this is made out of breadcrumbs, flour, butter, salt, eggs, and ham and steamed. You can find it in Friuli-Venezia Giulia, Trento, and Alto Adige. Canederli: Known on the Austrian side of the border as knödel, canederi are, quite simply, dumplings, made from bread-crumbs, eggs, and lots of other additions, like liver, cheese, or herbs. You can find these in the South Tyrol (Trentino-Alto Adige), where, unsurprisingly, much of the cuisine has a distinctly Austrian influence. Polenta: Made from cheap maize flour, polenta has been a food of Italy’s hardiest—and, often, poorest—Italians ever since maize was introduced to Italy from the New World. But in the north, it’s raised to a high art. The mixture is extremely versatile: It can be cooled and served in slices, or dished out in a hot, buttery mixture that’s the perfect starchy accompaniment to a meat stew, sausages, or melting cheese like fontina. 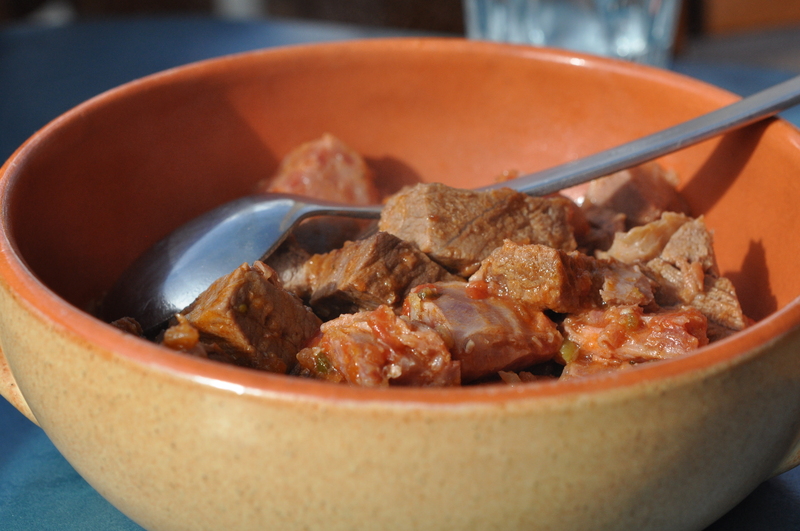 Carbonade: A beef stew, popular across the Alps. 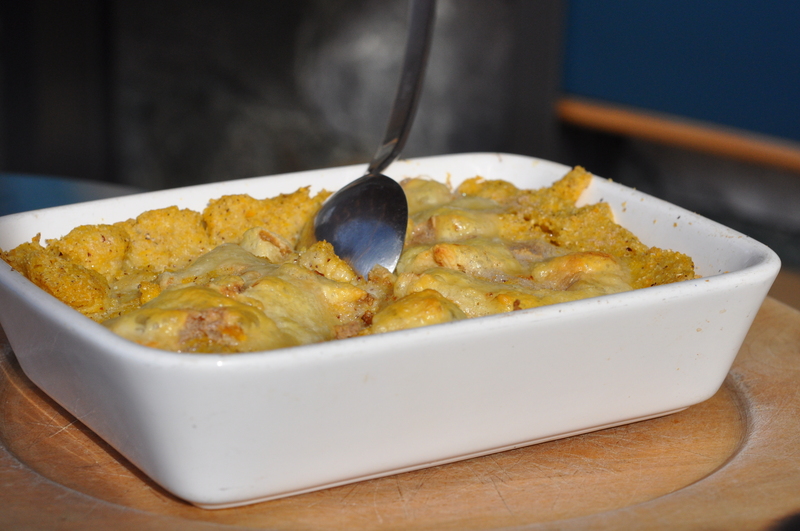 Costolette: Veal cutlets, common in the Valle d’Aosta and across the Alps. Montebianco: Named, appropriately, after Mont Blanc or Monte Bianco—which straddles the Valle d’Aosta and France—this dessert looks just like the mountain! It’s made from cooked chestnuts, topped with peaks of whipped cream.